Gas & Oil: Utica Summit II: Risks Must Be Managed - "Christopher Guith, who leads the development of the Energy Institute's policies related to oil and gas and nuclear energy for the U.S. Chamber of Commerce, said during a recent Utica Summit II event that while there is a lot of good news related to oil and gas development, there are also a few storm clouds forming..."
Pittsburgh Post-Gazette: Bans on Fracking Up For Vote in Utica Shale - "In this fall’s midterm races, hydraulic fracturing enjoys political support from many conservatives and liberals. President Barack Obama often touts it as a reason for new found energy independence. Pennsylvania Gov. Tom Corbett, a Republican, and Tom Wolf, his Democratic challenger, have generally disagreed only on how to tax it. Yet pockets of resistance to the extraction technique commonly known as fracking, which has revolutionized the oil and gas industry, have appeared in..."
Columbus Business First: Ohio Gov. John Kasich Says Proposed Severance Tax "a Complete and Total Ripoff" - "Ohio Gov. John Kasich had strong words for the oil and gas industry in a Tuesday candidate forum. The state legislature has feuded over how much the raise the state's oil and gas severance tax during..."
The Intelligencer/Wheeling News-Register: Leak Roared Like Jet Engine - "“It sounded like a jet engine, or a real strong wind. We’re about 2.5 miles away, and it was still very loud,” Jefferson County Road 26 resident Joe Felix said. “My wife said she heard a bang, and then the jet engine sound began.” On Wednesday, American Energy officials joined regulators with the Ohio Department of Natural Resources and the Ohio Environmental Protection Agency at the well site near the Mingo Sportsmen’s Club, where specialists with Boots & Coots International Well Control Inc. successfully shut off the well that began leaking methane some time Tuesday..."
The Columbus Dispatch: Eastern Ohio Pipeline Hauling Toxic Mix Catches Fire - "A pipeline carrying condensate, a toxic substance produced during natural gas and oil processing, caught fire in eastern Ohio early this morning. It burned several acres of Monroe County woodland before the pipeline pressure dropped low enough for the fire to burn itself out. No one was injured, and..."
Gas & Oil: Higher Gas Prices Expected This Winter - "The U.S. Energy Information Administration (EIA) expects higher prices this winter for consumers using natural gas to heat their homes. But Ohioans could be paying less than consumers living in other parts of the country. Much of the country east of the Rocky Mountains experienced record low temperatures last winter, and those temperatures led to..."
Shale Play: Oil, Rail Industries Want 7 Years to Fix Tank Cars - "The oil and railroad industries are urging federal regulators to allow them as long as seven years to upgrade existing tank cars that transport highly volatile crude oil, a top oil industry official said last month. The cars have ruptured and spilled oil during collisions, leading to intense fires. Jack Gerard, president of the American Petroleum Institute, told reporters..."
Natural Gas Now: The Freaky CELDF and Its Radical Designs - "There are few fractivist groups more radical or freaky than the Community Environmental Legal Defense Fund (CELDF). We’ve written about them several times, including here, here and here, all of which are important to read to get a full understanding of just how freaky the organization is. They’re the folks who propose to overrule the Patriot Act, abolish corporations and grant plants and trees the right to sue, all by..."
Coshocton Tribune: Man Injured in Oil Fracking Explosion - "One man was injured in an explosion last night at an oil fracking site near Quaker City. The man, whose name has not yet been released, was transported via medical helicopter to..."
Akron Beacon Journal: Company plans to ship Ohio natural gas to Louisiana by adding capacity to pipelines - "Natural gas pulled from Ohio’s Utica shale could be moved to the Gulf Coast with the expansion of an existing pipeline. Kentucky-based Texas Gas Transmission LLC has proposed adding north-to-south capacity to its existing 690-mile pipeline system. It would retain..."
Press release: Noble Energy Announces Third Quarter 2014 Results - "Noble Energy, Inc. (NYSE:NBL) announced today third quarter 2014 net income of $419 million, or $1.12 per diluted share. Excluding the impact of certain items, which would typically not be considered by analysts in published earnings estimates, third quarter 2014 adjusted income(1)was $110 million, or $0.28 per diluted share. Discretionary cash flow(1) was $811 million..."
Press release: CONSOL Energy Reports Third Quarter Results - "CONSOL Energy Inc. (NYSE: CNX) had adjusted net income1 in the 2014 third quarter of $20 million, or $0.09 per share, after adjusting for unusual items, which are listed in the EBITDA reconciliation table on page 11. Adjusted EBITDA1 was $236 million for the 2014 third quarter, compared to $178 millionin the year-earlier quarter. Cash flow from operations..."
Times Reporter: Projects in Tuscarawas, Harrison, Coshocton counties to move ahead if ODNR OKs grant fund requests - "The Ohio Department of Natural Resources is seeking more than $7.7 million in federal Abandoned Mine Land Grant funds for cleanup projects in 2015 in 16 counties, including Tuscarawas, Harrison and Coshocton counties. The projects will move ahead if the money is appropriated by Congress, said Jim Bishop,..."
Houston Chronicle: Weinstein: Ban on oil exports has outlived its usefulness - "Partly because of President Barack Obama's indecision on approving the Keystone XL pipeline, Canada is now looking at Europe as a major potential market for its growing output of crude oil. To that end, a pipeline is under construction that will bring oil from Alberta and Saskatchewan to export terminals in Canada's Atlantic Provinces. Because of a recent ruling by the European Union that oil from the Alberta oil sands would be treated..."
Reuters: Breakeven oil prices for U.S. shale: analyst estimates - "A sharp decline in oil prices over thepast four months has called into question the sustainability of North American shale production. Global benchmark Brent crude has fallen about 25 percent since June due to oversupply, weakening demand and indications that..."
Press release: MarkWest Energy Partners Increases Quarterly Cash Distribution and 2014 Distributable Cash Flow Forecast - "MarkWest Energy Partners, L.P. (NYSE: MWE) (“MarkWest” or “the Partnership”) today announced that the Board of Directors of the General Partner of MarkWest Energy Partners, L.P., declared a cash distribution of $0.89 per common unit for the third quarter of 2014, for an implied annual rate of $3.56 per..."
WSIL TV: Landowner Speaks Out About Fracking Lawsuit - "A group from Wayne County says they're fed up with state leaders, so they'll take them to court to get fracking. Illinois approved hydraulic fracturing more than a year ago. Lawmakers have spent months..."
Press release: Hess Reports Estimated Results for the Third Quarter of 2014 - "Hess Corporation (NYSE:HES) today reported net income of $1,008 million for the quarter ended September 30, 2014. Adjusted net income, which excludes items affecting comparability, was $377 million or $1.24 per common share, compared with $405 million or $1.18 per share in the year-ago..."
The Berne processing complex in Monroe County, which has the capacity to hold three plants each processing 200 million cubic feet per day of natural gas, is almost ready to open. The first 200 million-capacity plant will open in November, said Casey Nikoloric, spokeswoman for Blue Racer Midstream LLC, the company that runs the Monroe County project. Construction of the second unit has started and should be in-service in April. Berne should be a boon to the chronically underdeveloped infrastructure in the Utica shale region. A new transmission line for the project was completed this week, according to a filing the company made to state regulators. Dallas-based Blue Racer had asked regulators for an expedited review of its plan to build the 138-kilovolt electrical transmission line in May and regulators approved the 2,000-foot line a month later. The single bid received by the city to lease mineral rights on two pieces of Marietta property was reviewed by members of council late last month during a meeting of council's lands, buildings and parks and finance committees. The bid, submitted by MNW Energy LLC, would give the city the option to earn more than $183,000 - $4,750 an acre - by leasing rights at Goose Run and at Gunlock Park between Lowe's and Wal-Mart. The city would also earn a 17.5 percent royalty on any earnings made over the five-year lease term, said city safety-service director Jonathan Hupp. City Councilman Steve Thomas, D-3rd ward, said he is supportive of leasing the rights. "I'm good with it. We need the money. And it's not going to be disturbing the ground," said Thomas. A new study conducted by Cleveland State University indicates enough ethane is estimated to be produced to support three large cracker plants in the Appalachian Region — and, just as importantly, current plans for plant construction specifically target Ohio, Pennsylvania and West Virginia. The information was brought forward during a Utica Summit II, held in mid-October at Stark State College, in Canton. Ethane cracker plants would be a tremendous boon to the area in terms of further manufacturing development. An ethane cracker facility creates ethylene, a compound used in the manufacture of plastic. Some estimates predict between 400 to 600 jobs in each cracker plant, with another 2,000 plus in indirect jobs and more than 8,000 additional jobs in the ripple effect that would follow with downstream manufacturers who rely on ethane and other products that will be created at the plants. Huge economic benefits to the Appalachian Basin region were projected when the plans for a cracker plant to be built by Odenbrecht/Brazkem across the River in Parkersburg, West Virginia, were released. So, one can only imagine the impact the smaller cracker plant now planned for possible construction by Appalachian Resins Inc. in Salem Township, located in Monroe County, Ohio, will have on the state and the region. There is another large facility slated to be built in Pittsburgh, Pa., by Shell Oil Company, which would round things out by placing a large cracker plant in each of the three states that are part of Marcellus and Utica natural gas production, Ohio, Pennsylvania and West Virginia. Why Did Chesapeake Agree to Sell Off a Huge Chunk of Marcellus and Utica Shale Assets? Chesapeake Energy (CHK) is on track with its “asset-divestment agenda.” On October 16, Chesapeake announced the sale of a large portion of its oil and gas assets in the Marcellus and Utica shales to Southwestern Energy (SWN). SWN will buy the Marcellus and Utica assets for ~$5.38. The transaction is believed to be Southwestern’s largest deal. Later in this series, we’ll discuss what the deal means for SWN. Chesapeake wanted to achieve $4 billion in spending cash by the end of the year. It planned to get the money through asset divestments. We’ll discuss why Chesapeake wants to achieve this goal later in this series. Read more of this series by clicking here. The Ohio Department of Natural Resources has made the latest weekly permitting update available. It wasn't a very busy week. Only 7 new permits were issued last week. Jefferson County was the focal point, with 3 new permits. That brings the total number issued there to 46. 2 permits were issued for drilling in Carroll County, and 1 permit each for Belmont and Tuscarawas counties. With these 7 new permits, there are now 1,567 total permits that have been issued in Ohio for Utica shale drilling. 1,141 wells have been drilled and 607 are producing. The Utica rig count is 44. STATE COLLEGE, Pa., Oct. 20, 2014 (GLOBE NEWSWIRE) -- Rex Energy Corporation (Nasdaq:REXX) today provided its preliminary third quarter 2014 production results, increased its full year 2014 production guidance and announced the date of its third quarter 2014 earnings release and conference call. Third quarter 2014 production volumes were 169.7 MMcfe/d, an increase of 72% over the third quarter of 2013 and 32% over the second quarter of 2014, consisting of 107.0 MMcf/d of natural gas and 10.4 Mboe/d of oil, condensate and NGLs (including 2.6 Mboe/d of ethane). Oil, condensate and NGLs (including ethane) accounted for 37% of net production during the third quarter and increased 61% sequentially over the second quarter of 2014. Production from oil and condensate reached a record level of 3.3 Mboe/d, an increase of 20% over the second quarter to 2014. Third quarter 2014 production of 169.7 MMcfe/d exceeded the high end of the company's production guidance range of 159.0 - 165.0 MMcfe/d by 3%. "We are extremely pleased with our production results for the third quarter," said Tom Stabley, Chief Executive Officer of Rex Energy. "In just 18 months, we have more than doubled the company's average daily production while nearly tripling the company's liquids production. We believe our rapid growth in production over the last year and a half further demonstrates the quality of both our asset base and our technical team." Rex Energy is providing its initial production guidance for the fourth quarter of 2014 and increasing its previously issued production guidance for the full year 2014. The company expects fourth quarter production volumes to range from 179.0 MMcfe/d - 185.0 MMcfe/d, representing a sequential increase of 7% at the midpoint of guidance over the third quarter and a 65% year-over-year increase at the midpoint of guidance. In addition, the company is increasing its full year 2014 production guidance by 3.0 MMcfe/d at the midpoint to 150.0 MMcfe/d - 152.0 MMcfe/d from its previously announced guidance of 146.0 MMcfe/d - 150.0 MMcfe/d. The increase in full year production guidance is due to strong production results from the company's existing producing properties. In addition, the company continues to expect its full year 2014 average realized natural gas price, including the effects of basis hedges, to be approximately $0.60 - $0.80 below the Henry Hub natural gas index price. Consistent with its historical practice, the company continues to add to its hedging position at prices that generate strong rates of return in order provide additional certainty regarding its expected cash flows. For 2015, the company now has approximately 49% of its current natural gas production hedged at a weighted average floor price of $4.15. The company has also hedged approximately 43% of its current oil production for the first half of 2015 at a weighted average floor price of $90.88. Finally, the company has recently entered into agreements to lock in approximately 60% of its expected natural gas production previously sold under Dominion South Point pricing for 2015 at a weighted average price of $0.82 below the Henry Hub natural gas index price. The company plans to release third quarter 2014 financial and operational results on Tuesday, November 4, 2014 after market close. Management will host a live conference call and webcast on Wednesday, November 5, 2014 at 10 a.m. ET to review third quarter financial results and operational highlights. Reference material for the conference call and webcast will be posted to the company's website prior to the call. All financial results included in the earnings release or discussed on the conference call and webcast will remain subject to our independent auditor's review. The telephone number to access the conference call is (866) 437-1772. The conference call will also be available for replay through the company's website at www.rexenergy.com under the Investor Relations tab. The replay of the event and reference materials will be available on the company's website through December 4, 2014. An Environmental Integrity Project Investigation finds at least 6 fracking fluids on the market with higher concentrations of benzene (a carcinogen) than diesel fuel, and at least 153 wells fracked with liquids containing ethylbenzene (a probable carcinogen) in 11 states (OK, ND, TX, WY, CO, CA, OH, LA, NM, MT, and MI). WASHINGTON, D.C. – Despite a federal ban on the use of diesel fuel in hydraulic fracturing without a permit, several oil and gas companies are exploiting a Safe Drinking Water Act loophole pushed through by Halliburton to frack with petroleum-based products containing even more dangerous toxic chemicals than diesel. The report by the Environmental Integrity Project, “Fracking’s Toxic Loophole,” describes how a gap in the Safe Drinking Water Act – nicknamed the “Halliburton Loophole” – requires permits for fracking with diesel fuel, but allows companies to inject other petroleum products even more toxic than diesel without any permitting requirements or safeguards for underground water supplies. “This double standard illustrates what happens when Congress manipulates environmental statutes for the benefit of polluters, instead of allowing EPA to make public health decisions based on the best available science,” said Eric Schaeffer Executive Director of the Environmental Integrity Project and former Director of Civil Enforcement at EPA. Exactly how often oil and gas companies use these toxic petroleum products is not clear, in part because not all firms disclose to FracFocus. But even the limited data available on FracFocus shows at least 153 wells in 11 states were fracked with fluids containing ethylbenzene between January 2011 and September 2014, with the largest numbers of wells in Oklahoma (77 wells), North Dakota (23), Texas (20), Wyoming (11), Colorado (9), California (5), Ohio (3), Louisiana (2), New Mexico (1), Montana (1), and Michigan (1). In some cases, the amount of toxic fracking fluids injected into the ground is large. For example, in September, a Texas-based oil and gas company called BlackBrush O&G, LLC, reported injecting a mix of crude oil, butane, and other fluids containing up to 48,000 gallons of benzene into a well in Dimmit County, Texas. Between May 2013 and February 2014, another firm, Discovery Operating Services, reported injecting solvents containing nearly 1,000 gallons of benzene into eleven wells in Midland and Upland Counties in Texas. On August 13, EIP released a report, “Fracking Beyond the Law,” that documented the problem of illegal fracking with diesel fuel. The report identified 351 wells fracked with diesel without required Safe Drinking Water Act Permits between 2010 and July 2014. In a letter sent to EPA on October 6, EIP identified an additional 243 wells fracked with diesel. The problem of fracking with diesel was also highlighted in reports by Congressional Democrats in 2011 and the United States Government Accountability Office in June 2014. The Environmental Integrity Project is a 12-year-old nonprofit organization that works to protect public health by advocating for the enforcement of environmental laws. To listen to an audio recording of Eric Schaeffer and Sharon Wilson speaking during the telephone press conference to release the report, click here. They answer questions from reporters during the call. CARROLLTON, OHIO: Carroll Concerned Citizens will show a video by Dr. Julie Weatherington-Rice at its Thursday November 6 meeting that provides insight into the links between shale gas and oil wastes and surface radioactivity. Filmed in September as part of an Ohio State University Extension educational outreach program, Dr. Weatherington-Rice shares somewhat technical information about radioactive wastes from Marcellus and Utica shales. The Ohio Fracture Flow Working Group’s research seeks to answer questions such as: What radioactive wastes are, How they are managed, and Should we be concerned. HOUSTON, TX--(Marketwired - Oct 22, 2014) - Magnum Hunter Resources Corporation (NYSE: MHR) (NYSE MKT: MHR.PRC) (NYSE MKT: MHR.PRD) (NYSE MKT: MHR.PRE) (the "Company" or "Magnum Hunter") announced today that the Company has completed test results on its 100% owned Stewart Winland Pad located in Tyler County, West Virginia. The Stewart Winland Pad has four 100% owned recently completed wells (3 Marcellus and 1 Utica). The Stewart Winland 1301M was drilled and cased to a true vertical depth of 6,155 feet with a 5,762 foot horizontal lateral, and successfully fraced with 27 stages. The well tested at a peak rate of 17.0 MMCFE of natural gas per day (~23% Condensate and ~25% NGL) on an adjustable choke. The Stewart Winland 1302M was drilled and cased to a true vertical depth of 6,147 feet with a 5,676 foot horizontal lateral, and successfully fraced with 29 stages. The well tested at a peak rate of 17.1 MMCFE of natural gas per day (~19% Condensate and ~26% NGL) on an adjustable choke. The Stewart Winland 1303M was drilled and cased to a true vertical depth of 6,149 feet with a 5,762 foot horizontal lateral, and successfully fraced with 29 stages. The well tested at a peak rate of 16.8 MMCFE of natural gas per day (~20% Condensate and ~26% NGL) on an adjustable choke. As previously reported on September 24, 2014, the Company's 100% owned Stewart Winland 1300U (Utica well) tested at a peak rate of 46.5 MMCF of natural gas per day (~7,750 BOE per day) on an adjustable rate choke with 7,810 psi FCP. The Stewart Winland 1300U well was drilled and cased to a true vertical depth of 10,825 feet with a 5,289 foot horizontal lateral, and successfully fraced with 22 stages. Mr. Gary C. Evans, Chairman of the Board and Chief Executive Officer of Magnum Hunter, commented, "We are pleased to report our company's highest production test rates to-date on three recently completed Marcellus wells located in Tyler, County West Virginia. To have successfully completed four very high production rate wells (three Marcellus and one Utica) that have tested on a combined basis at 97.4 MMCFE per day on one single pad, is a testimony to both the quality of the rock underlying our Company's lease acreage as well as the knowledge and experience of our management team and field personnel and what they have learned over the past three years in drilling and completing over fifty wells in the region. Additionally, this type of production obviously has significant implications for our midstream subsidiary, Eureka Hunter Pipeline, LLC, where all of this new natural gas and liquids production is currently tied in." Thus said Susie Beiersdorfer, one of the mainstays of the committee that has again placed the anti-fracking Community Bill of Rights charter amendment on the Nov. 4 general election ballot in Youngstown. On three previous occasions, city residents rejected the anti-fracking charter amendment and the arguments put forth by Beiersdorfer, and her husband, Ray, a public employee. But they and other self-styled protectors of the people of Youngstown who are thought of as environmental bumpkins refuse to give the voters the respect they deserve. Let Susie Beiersdorfer’s opinion of city residents be your guide as you attempt to understand what’s driving the anti-fracking proponents. Read the whole editorial by clicking here. Oil and natural gas production fields can emit large amounts of air pollutants that affect climate and air quality—but tackling the issue has been difficult because little is known about what aspects of complex production operations leak what kinds of pollutants, and how much. Now a study led by the Cooperative Institute for Research in Environmental Sciences (CIRES) the journal Atmospheric Chemistry and Physics sheds light on just that, pinpointing sources of airborne pollutants. CIRES is a joint institute of the University of Colorado Boulder and the National Oceanic and Atmospheric Administration. The results have important implications for mitigation strategies in the nation’s oil and natural gas production. Find out much more about this study by clicking here. The latest weekly permitting update from the Ohio Department of Natural Resources is now posted. It was a busy week for Harrison County as the Utica shale numbers continue to rise. 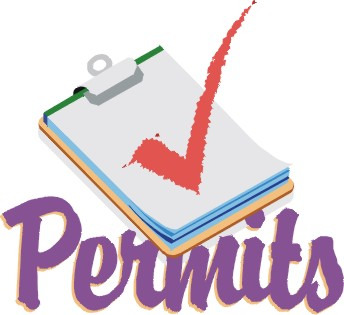 12 new permits were issued last week. 6 of those permits were issued to American Energy Utica for Harrison County wells. 5 went to Antero Resources for Monroe County sites, and the remaining 1 permit is for a Belmont County well to be drilled by Rice Drilling. These 12 new permits now move the Utica shale up to 1,560 total permits issued. 1,122 wells have been drilled, 607 are producing, and the Utica rig count is 46. Southwestern Energy has acquired 413,000 acres of Marcellus and Utica shale assets from Chesapeake Energy in a $5.375 billion transaction. Here are the announcements from the two companies. Southwestern Energy Co., Houston, has agreed to acquire assets in the southern Marcellus shale and a portion of the eastern Utica shale in West Virginia from Chesapeake Energy Corp., Oklahoma City, for $5.375 billion. The deal, expected to close in the fourth quarter, encompasses 413,000 net acres and 1,500 wells in northern West Virginia and southern Pennsylvania along with related property, plant, and equipment. Average working interest in the properties is 67.5%. Of a total of 435 horizontal wells, 256 are operated and producing in the Marcellus and Utica and an additional 179 are nonoperated or nonproducing in the Marcellus and Utica. Net production in September totaled 336 MMcfd of gas equivalent, of which 55% is gas, 36% are NGLs, and 9% is oil. As of Dec. 31, 2013, net proved reserves associated with these properties totaled 221 million boe. Southwestern Energy will assume a portion of Chesapeake’s firm transportation and processing capacity commitments. Based on capacity and expected future commitments, the company’s preliminary plans are to begin with 4-6 rigs next year and increase to 11 rigs by 2017. Southwestern Energy estimates that it can drill for a minimum of 20 years maintaining that 11-rig pace. By yearend 2017, the reserve mix for the company is estimated to be one-third each for the Fayetteville, northeast Marcellus, and the newly acquired West Virginia and Pennsylvania properties, compared with two-thirds for the Fayetteville and one-third northeast Marcellus as of the day the deal took place. Southwestern previously purchased 162,000 net acres in the Marcellus from Chesapeake for $93 million, giving Southwestern Energy 337,000 net acres in the play upon closing of the deal (OGJ Online, Apr. 30, 2013). Earlier this year, Southwestern Energy agreed to purchase 312,000 net acres in the Niobrara shale from Quicksilver Resources Inc. and Swepi LP, a unit of Royal Dutch Shell PLC, for $180 million (OGJ Online, Mar. 7, 2014). As of May, the total value of sales and divestitures for the year made by Chesapeake totaled more than $4 billion (OGJ Online, May 16, 2014). Chesapeake Energy Corporation (NYSE:CHK) announced that it has executed a Purchase and Sale Agreement to sell assets in the Southern Marcellus Shale and a portion of the Eastern Utica Shale in West Virginia to Southwestern Energy Company (NYSE:SWN) (“Southwestern”) for aggregate proceeds of $5.375 billion. The transaction, which is subject to certain customary closing conditions, including the receipt of third-party consents, is expected to close in the fourth quarter of 2014. Chesapeake has agreed to sell approximately 413,000 net acres and approximately 1,500 wells in Northern West Virginia and Southern Pennsylvania, of which 435 are in the Marcellus and Utica formations, along with related property, plant and equipment. Average net daily production from these properties was approximately 56,000 barrels of oil equivalent (boe) during the month of September, consisting of 184,000 Mcf of gas, 20,000 barrels of natural gas liquids and 5,000 barrels of condensate. As of December 31, 2013, net proved reserves associated with these properties were approximately 221 million barrels of oil equivalent (mmboe). Natural gas may not be of much use as a “bridge” fuel en route to achieving significant cuts in greenhouse-gas emissions unless its use is accompanied by rigorous policies aimed at curbing emissions – policies that some analysts say should be designed to harness gas as an ally of renewable-energy sources, rather that as a competitor. That is the implication of a new study analyzing the effect of globally abundant natural gas on competing energy sources and on greenhouse-gas emissions. The global abundance would result from the use of techniques such as hydraulic fracturing to tap so-called “unconventional” sources of natural gas worldwide. Assuming that no new climate policies are adopted beyond those that are in place today and that market forces continue to determine the price of gas, an international team of researchers found that gas would replace coal – a help in curbing the emission of greenhouse gases, since natural gas releases about half the carbon dioxide coal does per unit of energy produced. You can read more of that article by clicking here. Phelim McAleer, who directed and produced FrackNation, recently attempted to question former mayor of Dish, Texas Calvin Tillman, who is a prominent anti-drilling activist, about a study that he had commissioned a few years ago. It's all explained in this video. Although Tillman chose not to engage the discussion further with McAleer in the video above, he did choose to issue an angry response via his blog. It finally happened on July 25, 2014 - I was doing a presentation in Santa Maria, CA, when the creepiest side of the oil and gas industry showed up at a presentation I was giving at the local library. This was of course the ethically challenged documentary film makerPhelim McAleer. Mr. McAleer did the false and misleading propaganda documentary Fracknation which was funded by the oil and gas industry. This film was funded to counter the award winning Gasland documentary, which showed the downside of oil and gas operations. He has been harassing other people who have people who have been critical and outspoken of the practices of the oil and gas industry. However, Mr. McAleer represents a sick and distorted section of the population. This is the section of the population that is willing to lie and mislead and insights violence against those who disagree with his feeble thoughts. Although, it is clear that he has only a very limited number of supporters, those who do follow him are either unable or unwilling to have an independent thought on their own, which makes them particularly dangerous because they blindly follow his lies, and attack those he attacks. For years now, I have questioned Mr. McAleer's true motivations, and if you watch how he does his "interviews", you will see that he is not a legitimate journalist, but rather a drive by journalist who attempts to put words in your mouth and have you agree with them. He continues to ask the same question over and over hoping that you will say something that he can take out of context and use against you. If that does not work, he will just make up something and start saying that you said it. When you politely move away from him, he gets very pushy to the point of bordering on physically touching his foes. In this particular instance Mr. McAleer was pushing elderly women out of his way to get to me. Rather than attempt to perform a legitimate interview, he pushes it to the point that it becomes an attack. He then chases you down until it borders stalking and becomes creepy. He acts as though it is your fault that he makes industry funded movies that nobody wants to watch. I knew this, but to this point it appeared to me that McAleer had went out of his way to avoid me, and I still believe his is afraid to have an honest debate with me. Therefore, I did not back away from him when he approached me and legitimately attempted to have an honest discussion with him. However, it quickly became clear that Mr. McAleer was not there to have an honest discussion, but rather more baseless attacks and shouting lies that are meant to spread more of his vile and misleading misinformation. Since first daring to speak out about the business practices, I have been attacked by the oil and gas industry hacks. However, one particular sick and twisted thing Mr. McAleer does is try to get a reaction by attacking my children. He appears to have no moral compass that guides him through his interviews. It is no secret that my family moved from DISH out of concerns for our children's health. Mr. McAleer uses this point to attack my children and will go as far as accusing me of telling people that my children have leukemia, which is a complete and fabricated lie, not to mention a very sickening thing for someone to say. Unfortunately, I simply do not have patience for those who attack my family. Mr. McAleer does not have children, which is likely his greatest gift to society, and therefore can not understand the emotions of having a child and wanting to protect them from harm. Just another day in the fight over fracking.